Cambridge, MA, July 16, 2015 – Astrocyte Pharmaceuticals Inc., a privately held pharmaceutical company, announced today that Susan S. Margulies, Ph.D. has joined the company’s Scientific Advisory Board. Astrocyte Pharmaceuticals is developing breakthrough small molecule therapeutics for acute administration to patients who have suffered a traumatic brain injury (TBI), concussion or stroke. Dr. Margulies is the George H. Stephenson Professor in Bioengineering, in the School of Engineering and Applied Science at the University of Pennsylvania, with over 30 years of experience in the area of traumatic brain injury research, and over 25 years in pulmonary biomechanics. Dr. Margulies is an international leader in biomechanics of head injury in infants and toddlers, integrating mechanical properties, animal studies, instrumented dolls, patient data, and computational models to identify injury mechanisms that are unique to children. Her recent studies have expanded to include innovative metrics of cognition and memory to assess injury progression and recovery in a large animal model, and preclinical trials testing novel therapies to improve outcomes after brain injury in children. 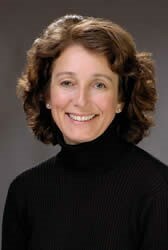 Dr. Margulies received her BSE in Mechanical and Aerospace Engineering at Princeton University and her Ph.D. in Bioengineering at the University of Pennsylvania. Astrocyte Pharmaceuticals Inc. is a privately held drug development company dedicated to accelerating the recovery and well-being of brain injury patients. The company is committed to proving the neuroprotective benefits of selective astrocyte activation, and advancing breakthrough therapeutic agents for treating brain injury resulting from TBI, concussion, stroke and neurodegenerative disorders such as Alzheimer’s disease.